The Hayden Detective Agency has no need of clients. The very existence of the Agency allows Martin Hayden to claim his large monthly allowance from the family fortune - without lifting a finger. Martin’s biggest problem is his interfering mother, who understands her idle son too well. She takes steps to find him not just clients but also a personal assistant to keep an eye on him. Under pressure from the women in his life, Martin agrees to take on his first client. How hard can it be to follow a 90-year-old woman who spends her time losing money at roulette tables? As it turns out harder than Martin ever thought possible, especially with the old lady dying in strange circumstances. 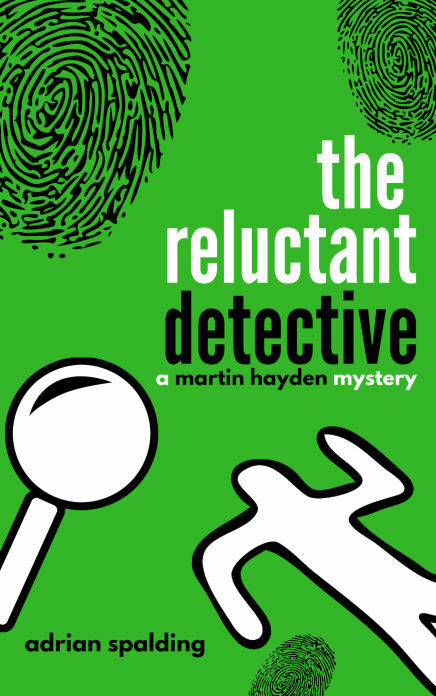 Soon the Reluctant Detective is grappling with shady estate agents, an intellectual artist, missing charity money and an irritating Indian waiter. Luckily for Martin there is help in the form of Colin, a transvestite who, apart from having very good fashion sense, is an expert at breaking into houses. Available Summer 2019 -Join my mailing list and hear about the publishing date.